Hockey may not be as popular as sports such as baseball, football and basketball (outside of Canada, that is), but it's every bit as exciting. And while it does take many years of practice to perfect your game, the practice doesn't have to be boring. 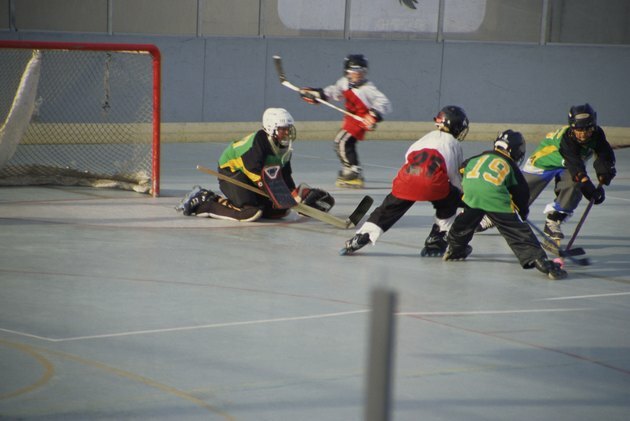 You can choose from a variety of fun hockey games to make learning the game enjoyable. The shootout is now part of the NHL's regular season overtime procedure, but it's always been a favorite for kids at practice. This is one of the top ten fun drills according to Hometown Hockey Magazine. But the breakaway contest isn't just for fun - it teaches skills as well. Hometown Hockey's writers note that it develops stick-handling, puck control and shooting skills for players, and helps goalies get used to coming out and challenging shooters. The seven man rebound drill is another drill that benefits shooters as well as goalies. 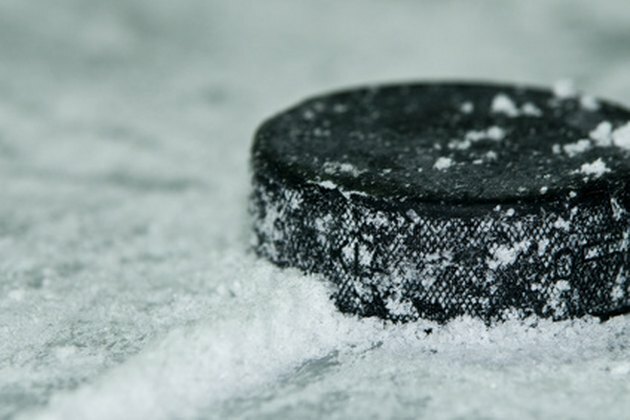 The writers at Ice Hockey Systems recommend lining up three players parallel with each post, and having one shooter at the top of the slot area. The shooter will shoot five pucks, waiting to shoot the next one until the previous one has been put in the net by one of the six players looking for rebounds. Then, another player will take over as the shooter. This drill benefits goalies by teaching them to control rebounds and training their reflexes. It also helps players practice shooting from close to the net and helps improve their reaction times. This game is recommended by website Better Hockey. In this game, separate players into teams of four. The game is played using half of the ice surface and each team must complete at least two passes before scoring. If a goal is scored before two passes are completed, it is disallowed. The pass count resets on possession changes and after shots. Another drill recommended by Hometown Hockey is the relay race. The writers recommend not just a straight relay, but one that involves different tasks or skills that have to be performed along the way. The relay race could include puck-handling between cones, scoring goals, jumping over sticks and skating backwards.